The posters are an A3 size to enable standard framing. 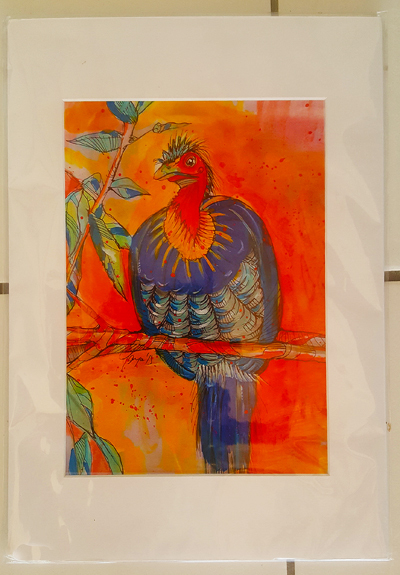 If a larger (or smaller) print is desired, please contact Gaye via this site. What a choice! You have the pick of something perfect from Gaye’s entire portfolio. These prints are limited to 50 per design and are accompanied by a certificate of authenticity. 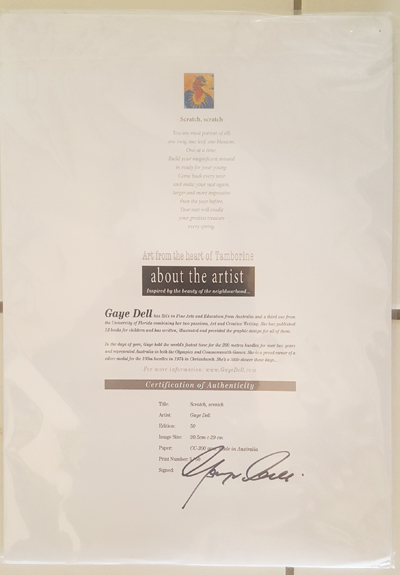 The certificate indicates details referring to the numbered print and are signed by Gaye as confirmation.